Summer starfish wedding invitations coming in a slip wallet design in the colour of the sand and white postcard with starfish and shells pattern. The design is finished with beige and brown cotton thread and your personalised wording is printed on a brown insert. Size: 27 x 9 cm. 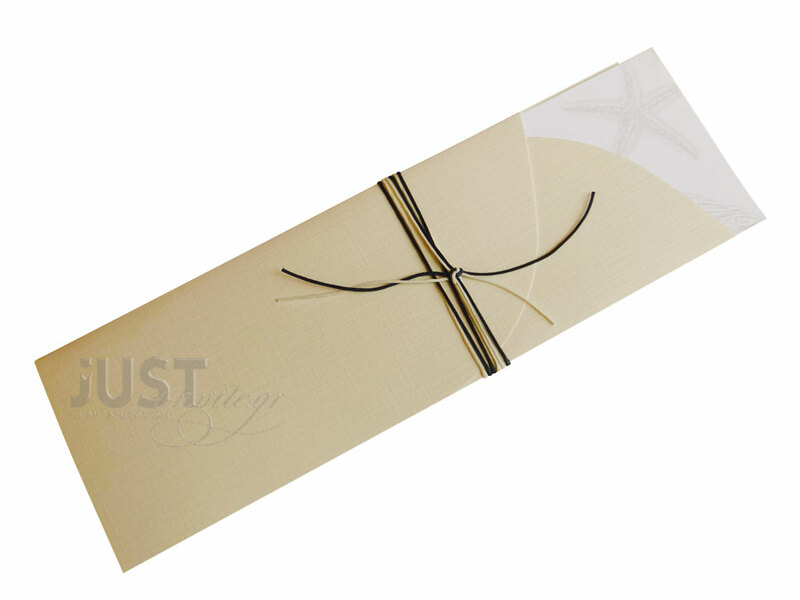 https://www.preciousandpretty.com/2017/10/starfish-wedding-invitations-A1207.html Greek Wedding Favors|Orthodox Crowns|Stefana|Baptism Invitations Starfish wedding invitations A1207 Wedding invitations contemporary chic, with starfish and shels on it. Product #: Greek Wedding Favors|Orthodox Crowns|Stefana|Baptism Invitations_8308188433184998603 5 stars out of 5 reviews.